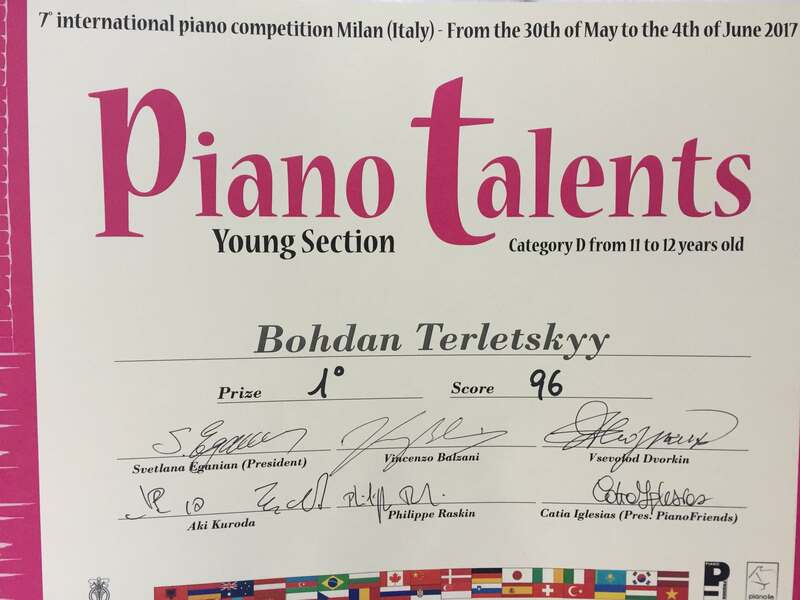 Bogdan Terletsky, a pupil of the Renaissance School named after him, won the enchant victory in his age category at the VII International Piano Competition “Junior e Senior” in Milan (Italy). S. Krushelnytska (class of professor Oksana Rapita). 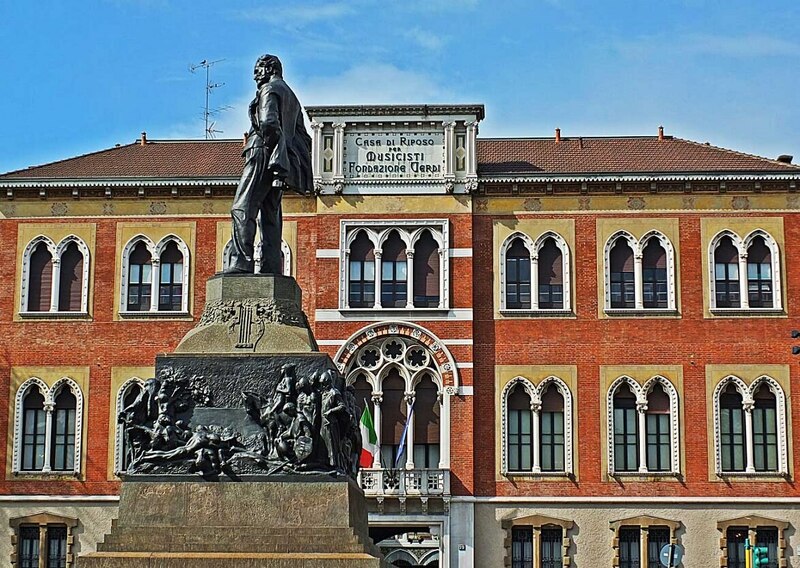 The Junior E Senior Competition was held in Milan at the Concert Hall of the Palace of J. Verdi from May 30 to June 4, 2017. 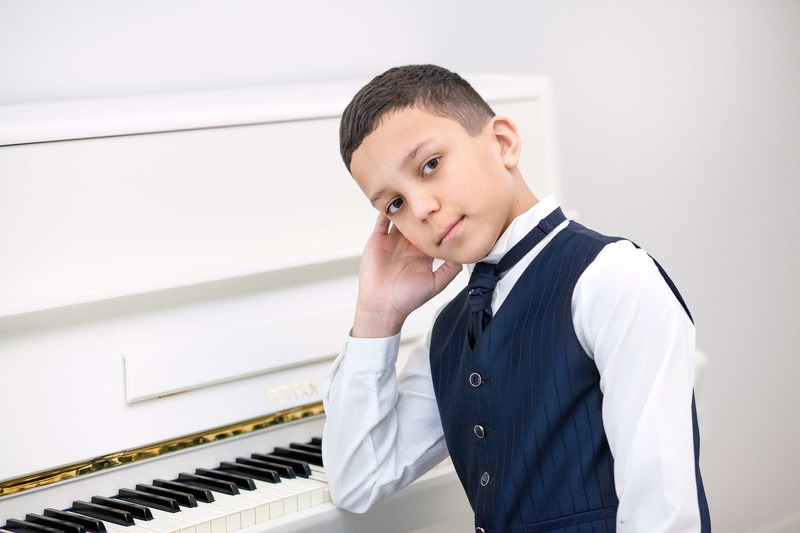 In these creative competitions in different age categories, talented pianists from all over the world took from five to twenty eight years. The head of the jury is Svetlana Yeganyan (France). Bohdan Terletsky received the unanimous decision of the jury of the 1st place and the prize of 700 euros. This is a true success! Congratulations to the winner!